Search Engine Optimization (SEO) is basically the optimization of a website to improve its position on the results by search engines, but this algorithms changes every year, and in the latest years it has evolved a lot. 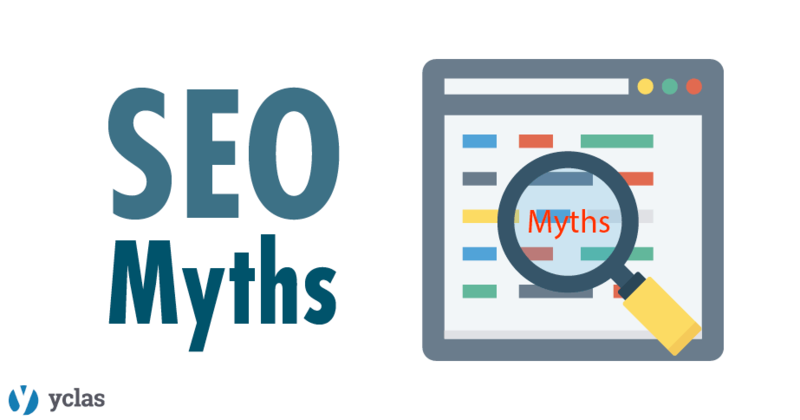 This just has created tons of myths and websites where you will find whatever they offer to improve your SEO, maximize your site's traffic, put your website on top of every search engine and all the stuff they tell you for an amount of money per month, all of these are lies. You've probably already noticed that there are pages that start with a HTTP and other ones that start with HTTPS, the one with the S indicates that the website is encrypted, it means a safe site. Well, a few years ago Google mentioned that their algorithms consider a HTTPS website as a good sign site for ranking and positioning. Of course, if your website has HTTP it will be ranking too, but, e.g. Google Chrome users will see a tag before your site's URL that indicates "Not Secure" website, and there you will be affected, not by SEO but by this "Not Secure" label, people doesn't like to browse in that websites. No, they don't help, because they do not worth. You will be surprised to know the large number of SEO websites and agencies that claims to be partners with Google and improve your SEO everyday to get you on top. But, think about it, such enterprise as Google will share their algorithms and information to the public? of course not, so, don't fall with these “Google partner agencies” and waste your time. You will probably find websites that indicate some possible future SEO factors, but these results are not guaranteed. At this part we can talk about two things, duplicated content inside your website and duplicated content from other websites (replica from another site). Of course we want to make sure you know that it is not so easy for the search engines to punish a website by eliminating it from indexes results. It only happens when there's a bad practice to “cheat” the search results. Penalized websites are common those ones that makes cloaking and spam. Well, when it is about duplicate content in your site, search engines doesn't penalize you, because if your content is great, they will want to show it to users. On the other hand, if you copy content from another websites, search engines identify it quickly and you could be penalized, they insist that your content must be and has to be original. This may be the most discussed topic in the history of SEO, you will find a large amount of websites, blogs and experts that are still discussing this. It helps, but not the way you are thinking. Of course, some years ago, having a keyword in your domain was the perfect game to get you to the top of the search engines, but this has really changed, because as we mentioned earlier, it is something that has to do with great content inside your website. We recommend you to strive yourself to create high quality content for users instead of thinking for months what will be your domain keyword, search engines always will offer the best solution for what users are looking for. Some people hide the text by making the color of the font the same as the background, others use a very small font size that we can not see on the website, and this is known as Cloaking, before, we told you that this can be penalized by search engines. With this BAD practice it is possible to place your website on tops with terms that are not relevant or have to do with your page, but, nowadays search engines reads pages by pretending to be a real user (like a human), and they find this “tricks”, what happens next, well, you will be penalized. So, this is something we recommend not to do. You will end with a lot of issues with ranking. In some way it does, let us explain it better, you have to use social media as a tool, because it is a tool to improve users experience about your website, and it is useful to collect information from that experience, but it doesn't help to ranking on top of search engines. What can really help you get to the top are the links and tweets that people make about your site, this way search engines will index your content, e.g. if some of your content is being shared by a lot of people, search engines will take it as a relevant content and they will put it on the top. You have to know that SEO is not dead, and it is so far from being dead, every day it evolved and changes its algorithms, this is why there isn't a formula or steps you can follow to always stay on top, the only thing you can actually do, it is to create great and original content besides creating it continuously. Now, you probably be thinking about Meta Descriptions and you should know that search engines takes part on this and they decide what to show depending on your content. Remember it is always about the content you have created on your website what matters in SEO.